Read a Q&A with Phyllis in HR Magazine's Book Blog. Read an excerpt about indirect methods for evaluating HR competency proficiency. Phyllis outlines three direct ways to determine HR competency proficiency. Workplace leaders are challenged with not just having people who can do the job today, but who are prepared to step up when things change tomorrow. For HR talent strategy, workforce planning, organizational design, and employee development to be successful, HR executives and managers need to understand and use SHRM competencies effectively. The Guide provides an easy-to-use roadmap for HR managers and small business executives to develop employee proficiency in the core HR competencies. 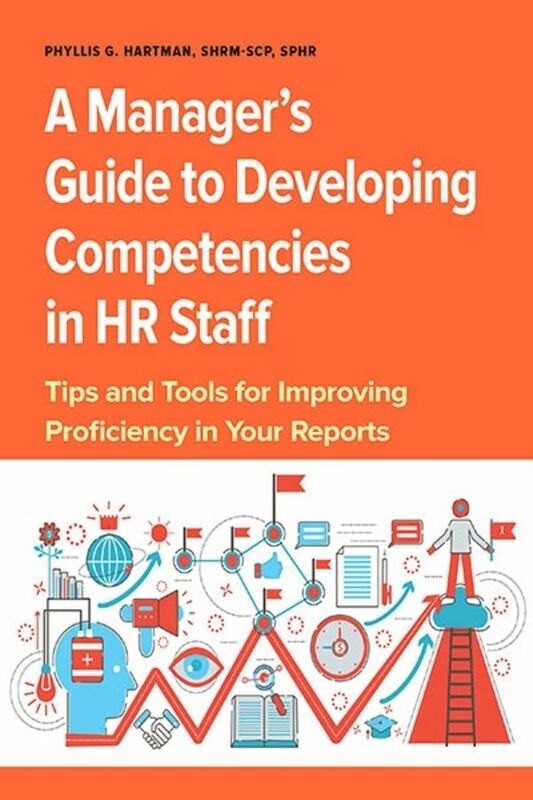 Loaded with tips, techniques, assessments tools, and real-life stories of management successes, it takes the mystery out of HR staff development by showing the value of the SHRM competencies in business and then clearly establishing the links between various competencies and HR functions. It also offers activities HR managers can use to develop their own competencies and features Proficiency Indicators for different levels of HR staff and charts and forms to help make the process of developing HR staff a little easier. Phyllis G. Hartman is president of PGHR Consulting, Inc., an HR consulting firm in Pittsburgh. She is a regular speaker at a variety of SHRM conferences and at SHRM chapter events and is a co-author of Never Get Lost Again: Navigating Your HR Career and Looking to Hire an HR Leader? “A must-read for HR leaders dedicated to developing their staff and elevating the performance of their HR organizations. Hartman distills the broad concepts of SHRM’s Competency Model into practical how-to’s. Anyone who is immersed in improving their KSAO’s can find ideas in the pages of this book. Full of development plan examples and tools that demonstrate how concepts in the SHRM Competency Model can directly apply to real life situations. Hartman’s third book is a winner!” --Sally K. Wade, SHRM-SCP, SPHR, President, AKCW Associates LLP and former VP-Human Resources, Mitsubishi Electric Power Products, Inc.